Here are a couple of things blooming in my yard today. I lost the name tag to the above tulip but that's okay since the picture on the tag showed a white and red tulip, not yellow and red. I think I like this even better though. King Alfred daffodil above. I didn't even notice the little bug hiding in the bloom until I blew up the picture! 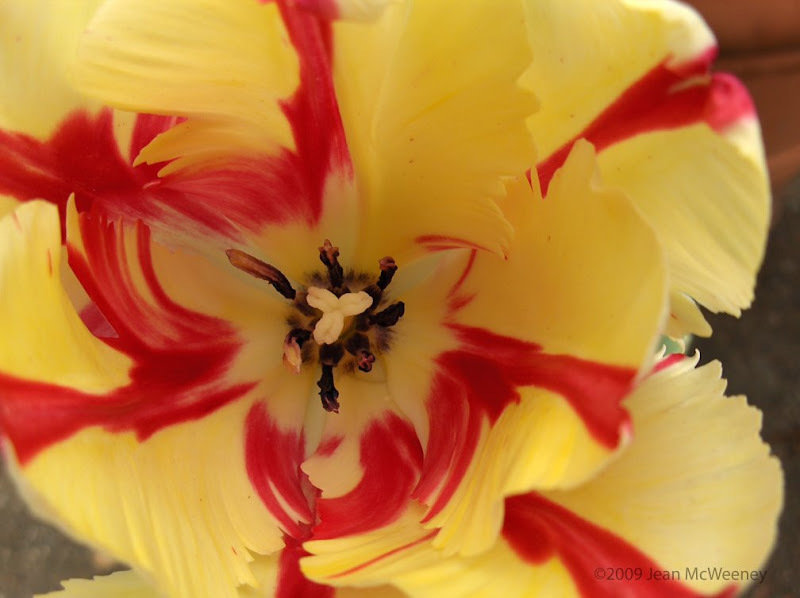 Wow, that is a gorgeous tulip! Wow, looks like spring has arrive where you are at! 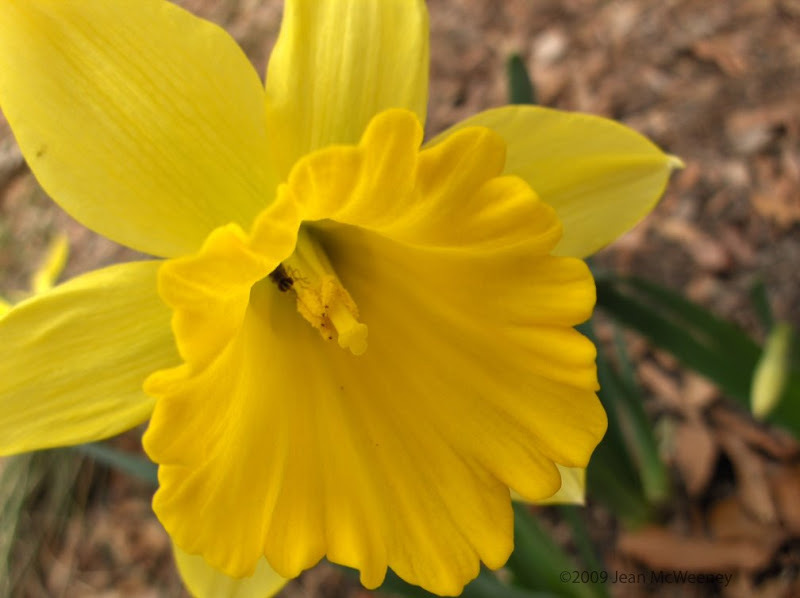 I really like the picture at the top of your blog with barn and all of the Daffodil's, it looks awesome. What a wonderful tulip! I agree this color combo is better. This should be a great weekend to garden, enjoy it. Jean, about your climbing Red Cascade - if you have just planted it, I wouldn't prune it this year. Actually, a climbing rose like this won't require much pruning with the exception of taking out dead canes.